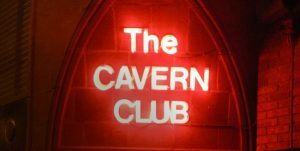 Liverpool’s Cavern Club celebrates its 60th anniversary in 2017 and the legendary venue is quite rightly receiving a lot of attention. It is not only the 50th anniversary of The Beatles iconic ‘Sgt. Pepper’s Lonely Hearts Club Band’ LP, but also one that means an awful lot to former avid attendee Debbie Greenberg. The 72 year-old has just released a memoir called Cavern Club – The Inside Story (Jorvik Press). The reason for this book having meaning is that Mrs Greenberg was not only there when the venue moved from being a jazz club (based on those in Paris at the time), it then by the early 1960s progressing onto the skiffle band scene sound and then into the rock ‘n’ roll club that we have all heard such amazing stories about. Debbie was also there when The Beatles played their very first gig under that name in 1961 (February 9th), original drummer Pete Best joined George Harrison, Paul McCartney and John Lennon at that time. Ringo Starr followed on a short time after, to form the ‘Fab Four’ line-up we all know and love to this day. They (as a band) took the scene by storm and made the venue even more popular than ever. The Mersey Beat scene went from strength to strength. The leather clad Beatles commanded the stage, provided a fresh injection of energy to the way their music was embraced and they could pack out the club lunchtimes and evenings alike. The teenager never realised then that this old bomb shelter and warehouse (which was declared a potential death trap, minus proper ventilation, drainage and fire escape) would become a part of the rest of her life. “It smelt of cigarette smoke, steaming leather (as it was not cool to remove your coat), sweat and felt like we were in a steam bath,” she says in her book. Her love for the club was such that she would queue for hours to ensure admittance. “There could have been 900 people there in an afternoon,” explains Greenberg.